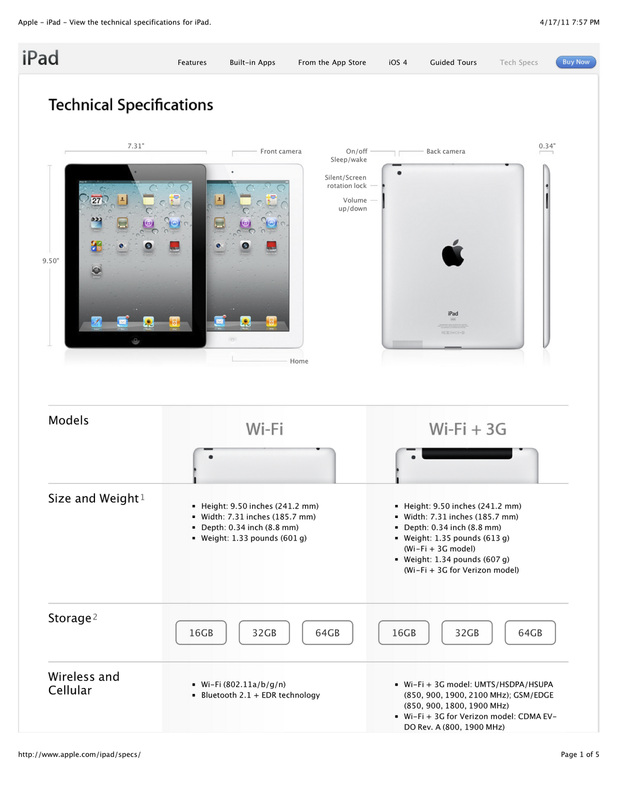 Deirdre Woods, CIO, Wharton, observed that students use an iPad as a “lean back device” as opposed to a PC which is a “lean forward” one. 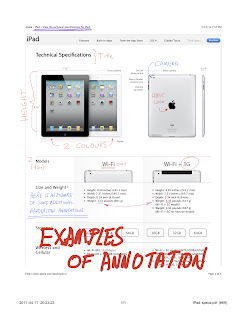 This makes iPads ideal devices to review and annotate documents. 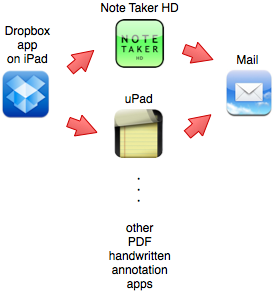 iPad Office Workflow-1 described how to use the Dropbox cloud service to simplify transferring documents to your iPad. Now how do you annotate or mark up your documents? I prefer using a stylus over typing on the iPad's touch screen, even though I type faster than I write. Unlike some others, I find that without the feedback of physical keys, I can't maintain the registration of my fingers necessary for touch-typing, on a touch-screen. My go-to app for handwriting notation on PDFs is Note Taker HD. 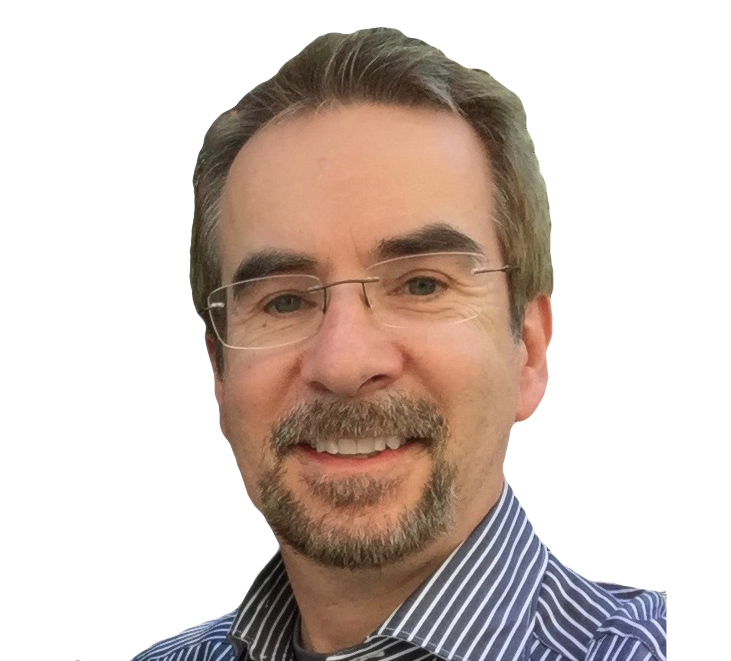 A similar app I've recently begun testing is Pockeysoft's uPad. And of course there are others apps such as iAnnotate PDF.